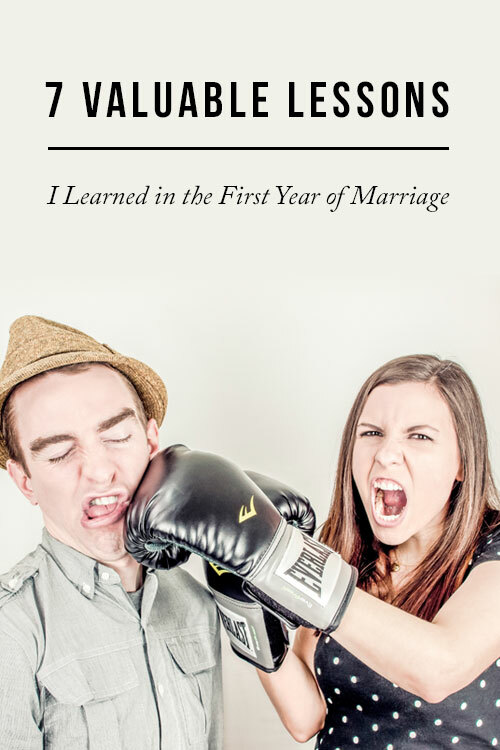 This is a round up of the top 7 things I’ve learned from marriage that weren’t always in the marriage books or past blogs I’ve read but are easy to implement into your daily life. This is not a general list but is written from the woman’s perspective. These are lessons I’ve learned as a woman, but there may be some sweet morsels in here too for the men out there. 1. The honeymoon stage doesn’t have to end. Towards the end of year one of marriage, I actually got this question more than I can count from my new newly wed friends: “When did the honeymoon stage end for you?” My reply? It doesn’t have to end. I’m not saying that your marriage will be bliss for the rest of your life but what I am saying is the honeymoon stage doesn’t have to have a shelf life of 6 months or a year. My husband and I approach the honeymoon stage as a mindset, not a state of mind. The definition of a mindset is “a fixed mental attitude or disposition that predetermines a person’s responses to and interpretations of situations”. A state of mind is defined as “a person’s mood and the effect that mood has on the person’s thinking and behavior“. The honeymoon stage is emotional bliss between two people and I believe you have power over your emotions. 2. Don’t be a bomber plane! According to Louann Brizendine, the author of The Female Brain, women speak an average of 20,000 words a day versus 7,000 words for men. We ladies love to talk and share, especially when our husbands walk in through the door. I’ve done this a couple times myself, and whenever I have, my poor, overwhelmed, hungry husband shuts down. I’ve always gotten the mental picture of Rosy the Rivator bombarding man-land with word bombs when this happens. You can’t bomb your husband with your thousands of words when he needs to decompress from the day. Greet him with one sentence and a kiss. Then let him say the first words about his day and wait a little while to share all of the details of your day. 3. A new understanding on how much God loves you. This one is my favorite. Mostly because for once, it wasn’t me doing something wrong. One night, I was sitting next to my husband and I was thinking about how much I loved him. My heart was so overwhelmed with love for him in that moment. Then I got a revelation that has impacted me greatly since then. When I was single, I knew I was God’s daughter which made me feel loved. But I realized, if I loved my husband so much that it felt like my heart was going to explode, how much more does God love me? 4. Don’t say you, say we. This one was one of the biggest lessons I learned and probably one of the hardest to implement in squabbles. Our dog has a high level of anxiety when our neighbor shoots off fireworks. We found out the hard way one muggy July night when we came home to find every doorway shredded. During the spring, we would close the doors in the house and gave the pup access to the living room, the couch, the dining room and the kitchen only (he’s not allowed on the bed in the bedroom while we’re gone and we eliminate the temptation to shred toilet paper in the bathroom). In the summer months, we learned to either kennel him in something cozy if we had to run out at night so he’d feel safe or leave all of the doors open to give him access to hide in the bathtub (don’t ask, our dog’s a strange one). One summer night, Eric had closed the doors out of a default and we came home to more shredded doorways. I was so angry. “You know better!” “You knew our dog would do this!” “You were so focused on not having the dog jump on the bed that you chanced this disaster?” You, you, you, you, you, you. Wait a second! I had a stake in this too. Not saying he was 100% off the hook, but he was 50% responsible and I was 50% responsible. I didn’t help remind my husband to kennel our pup if he wanted the doors closed. I actually heard the doors close and I didn’t think twice about it. I should have been paying more attention to what was happening and kindly remind my husband to keep the doors open. It wasn’t a “you” blame game, this conversation should have been a “we”. Marriage is, after all, not just you. It’s we. This is how the conversation should have went and how we now have conversations: “How could have we prevented this?” “How should we fix this?” When you do this, you are respecting your husband and treating your marriage like a team effort rather than a one-man show. According to TED talker and brain researcher, Jill Bolte Taylor, emotions only have a lifespan of 90 seconds. After those 90 seconds expire, that chemical – say anger for example – is no longer being produced in your body and you have a choice to make. Stay angry or take control of your thoughts. We had tried to plan a relaxing day at the beach. We had yet to go see Watch Hill in Rhode Island, let alone even go to the beach that year (it was mid July by this point). We packed up our car and made the hour ride to discover that there was no parking available. We tried the next beach over and waited in line for a half hour. While waiting in line, we found out there was a fee of $28 to go to that said beach. Are you kidding me? As a Southern Californian, there is so much wrong paying that much to sit on sand. Due to both of our frustration, the day being hot and humid, it now being 1PM and we were hungry, we both started losing our temper. My husband had decided one plan and I had decided another and when my expectations were not met (and also not clearly communicated to him), I could feel my blood start to boil. I could feel a severe serge of anger over my body for a minute and after that, it slightly dissipated. I then became acutely aware of my emotions and thoughts in that moment, as if an outsider looking in. As I felt the emotion of anger subside, I realized I had a choice. I could continue to stew, lose control of my emotions and keep going down the anger path or I could stop dwelling on something that really wasn’t a big deal. I chose the latter, an outburst was prevented and the day got better. I think this is why the Bible says to be slow to anger. If you take a moment to let the emotion take its course and then react to others after, you’re less likely to take rash actions and then avoid those bad consequences that effect those around you, especially your spouse. I’m not saying that it’s going to be easy and even possible to do this every time but when I am aware and in control of my emotions, my life is so much more peaceful and so is my husbands. Make date night once a week, whether it’s watching a movie on the couch, walking to a local park or going to a restaurant (we have tons of ideas for you if you need help planning! 😉). Put makeup on. Ask him if he likes your hair up or down and follow through. Put the phone down and make eye contact in conversation. Kiss for longer than a second. Skip the sweatpants and swap it out with a comfy dress – it’s just as effortless but looks like you put more effort in. Remember, men are visual and notice these small things. And though these may be small deeds, they add up over time. 7. Make the house a peaceful haven. My husband has a much longer commute than I, so I take advantage of the extra 30 minutes to an hour before he comes home by straightening up the house and lighting a scented candle. When he walks in through the door, the TV is off, the house is quiet and smells nice, everything is in order and my husband is so much happier. If you don’t have the luxury of getting home before your husband, then wake up a little earlier in the morning. Take thirty minutes out of the day to do a quick pick up of the house. This one is simple and easy to implement into your everyday routine. For the little amount it takes every day, the results are so much bigger. If you have kids, this may be a lost cause and that’s okay – implement it when they get a little older. There were so many others that I wanted to share, but that would have been a book. 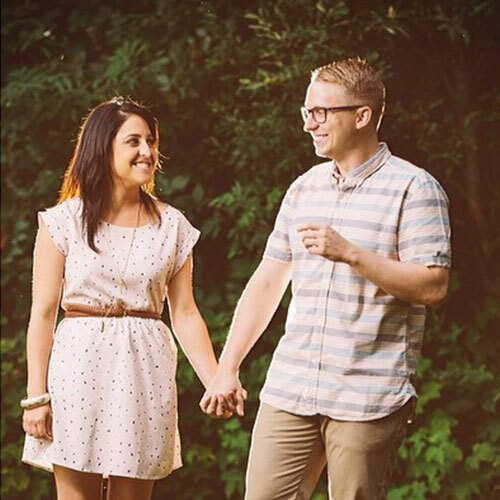 These were all little things I learned that made the most impact in my relationship with my husband and I hope these bite sized tips help make your marriage peaceful and happy. Have any other tips you’ve learned in your marriage? Leave a comment below – we’d love to hear them! Eric is a truly lucky man!!!! Excellent, entertaining, and wise advice. Your whole blog is a breath of fresh air. Thanks for your awesome feedback Candy!